It feels like it’s been a long winter, here in Shimosuwa. The high hillsides are still white, the distant mountains snowtopped, and nights fall far enough below freezing to film the glass doors with a frosting of ice. Having a little one around makes the winter feel longer. Wrestling her into her snowsuit for even the smallest adventure is much like a python eating a crocodile. Here, generally the python wins, and we go out, Sefryn bundled in red insulating layers against the cold. Having a little one around means there’s not as much time to work at the computer, and less still to get into the high country with my camera, but I’ve made a few short trips to photograph the winter both on my own and with Stephen and Sefryn. Having a little one means it’s been a long time since I wrote here: thoughts scatter and are often left unfinished, as are the dishes, articles to write, the laundry. The universal story. But back to the winter. 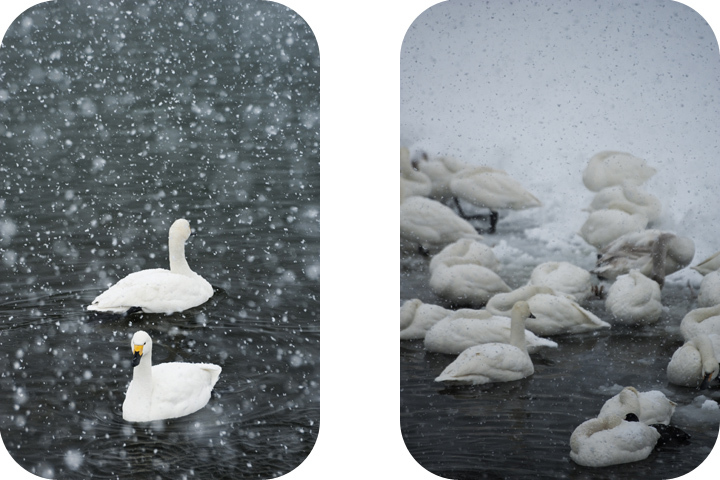 Every winter, tundra swans (Cygnus bewickii) overwinter here in Nagano Prefecture, waiting out the cold in the open water where streams run into Lake Suwa, as well as on the fast-running Sai River near Matsumoto at the edge of the Alps. 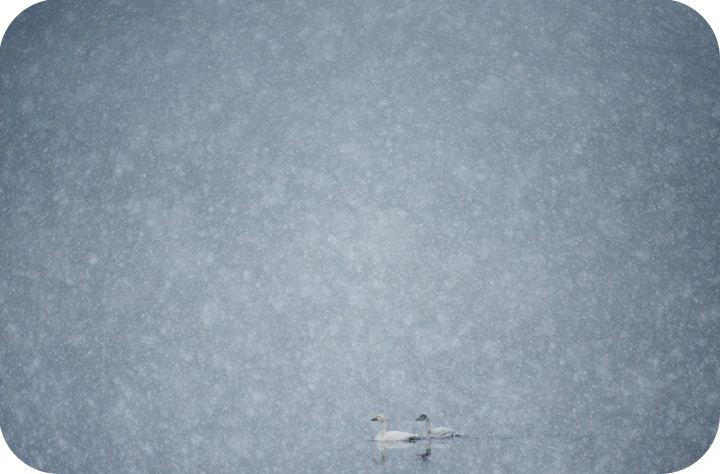 In the snow on the dark water, the white birds are especially beautiful. *I’m offering these images for sale as a series of editioned prints of wildlife. This entry was posted in geography, photography, Uncategorized. Bookmark the permalink.